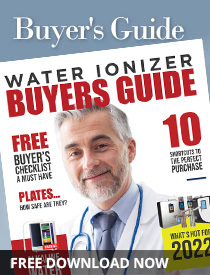 HydrogenX is the water ionizer steal of the decade! Their membership program offers unheard of benefits for a super low monthly price. The HydrogenX Water Ionizer Membership includes an unlimited warranty, unlimited free shipping and unlimited free replacement filters (2x a year). These incredible features make owning this water ionizer a no-brainer! What About the Price Up Front? 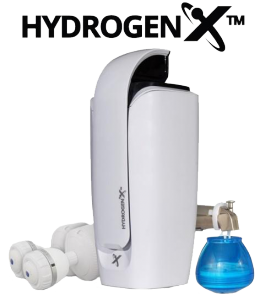 If you’re in the market for a water ionizer machine that produces great-tasting, healthy alkaline hydrogen water, but don’t want to spend a small fortune, then HydrogenX is the alkaline water machine for you. When you purchase this non-electric water ionizer, don’t expect to spend even close to the amount that you’d spend on the average water ionizer brand, which normally cost upwards from $2,000 to $5,000. In fact, HydrogenX won’t even cost you a grand. If you haven’t looked on their site yet, then you’ll be excited to know that this water ionizer is less than $500. I know, crazy, right? Since the HydrogenX doesn’t skip a beat when it comes to alkaline water quality – and because it’s so affordable – and because their membership plan is so cutting edge, we’re giving this water ionizer our 2019 Super Steal Award. In fact, no other water ionizer brand on the market even came close to earning this award. Go ahead and check out the HydrogenX website to see all of the great features that they offer. Once you check out all of their water ionizer benefits, you’ll find that our Super Steal award is right on point. 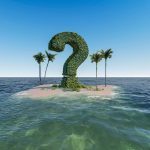 Have fun learning more about HydrogenX, and be sure to share your opinion in the comments.